Creatively engaging audiences to influence health decision-making. Our mission is to revolutionise the rigidity of traditional health communications by offering a creative and integrated approach to influencing audiences and positively changing behaviour. The Good Relations heath team prides itself on challenging the levels of creativity traditionally seen in health communications to deliver campaigns which optimise the earned and borrowed space. Our team comprises the brightest strategic planning, creative, journalistic and digital talent across consumer, pharmaceutical, and corporate health. Their deep experience across the entire category ranging from vitamins, supplements and herbals, to OTC medicines; from retail health (pharmacy, optical & hearing) to public health; and from prescription medicines to medical devices, enables them to cut through complexity and deliver compelling results. Whether you’re a health food, supplement, over-the-counter medicine, retailer, app, service or lifestyle brand with a health or wellbeing message, we can help. Leveraging our wealth of contacts across the earnt space, and working with established and rising social media influencers in the borrowed space, our dynamic brand newsroom ensures your health message becomes contagious. We deliver content-led thought-leadership campaigns that help health organisations positively position themselves as prospective business partners. We also we work with clients to create employee communications and engagement campaigns that inspire commitment and advocacy. In such a regulated space where so little can be said, creativity is key to cutting through. From creative platform, to content, to delivery, our team of storytellers work with clients to deliver compelling campaigns that activate audiences and change behaviours. Our skills include: disease awareness; pre-launch market shaping; stakeholder engagement; regulatory milestones; product launch and creative congress support. 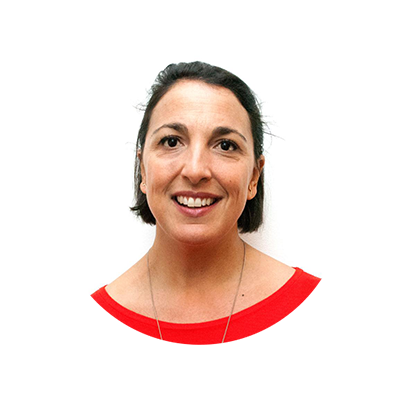 Sophie has over 18 years’ experience working in health & wellbeing communications, working with clients such as Boots, Pfizer, Specsavers, Novartis, Seven Seas, GSK, Janssen, Reckitt Benckiser and Johnson & Johnson. Her passion is for creating campaigns which influence and positively change behaviour across consumer, pharmaceutical, corporate, and B2B audiences.